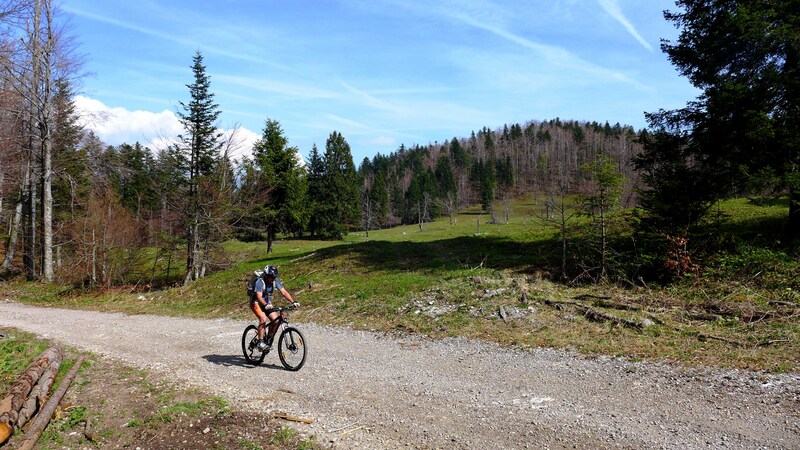 TransDinarica is a new and exciting long distance MTB route, taking the adventurous traveller through the Dinaric mountains of Slovenia, Croatia and Western Balkan countries. 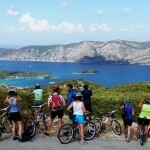 On this tour we will discover the Croatian part of this exciting MTB trail. 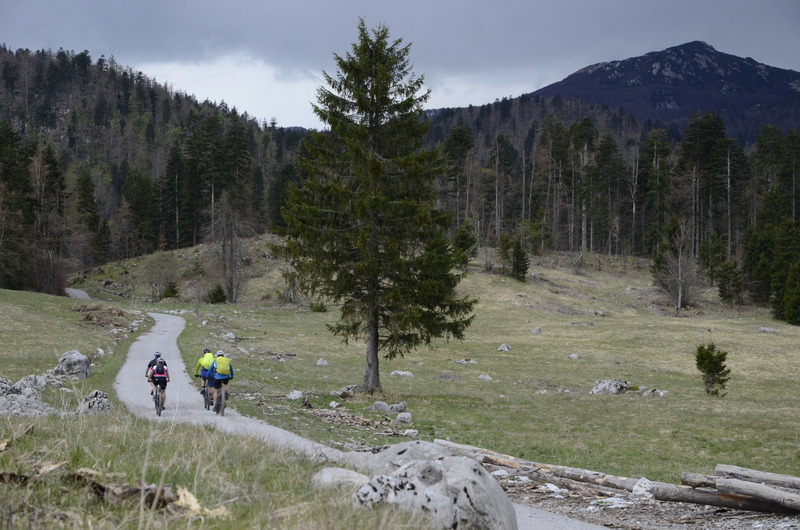 We will ride through the evergreen forrests of NP Risnjak before an exciting single trail descent to the Adriatic Coast. We continue with one of the most challenging rides on 2 wheels in Croatia – ascent to Velebit mountain and Zavizan mountain hut. Trail continues along the main ridge of Velebit, Croatian greatest mountain, taking us through a maze of limestone rocks, towers and cliffs, before enjoying stunning panoramas to the Adriatic coast and islands. Towards the end the tour we ride around Zrmanja river and Vransko Lake and end in Biograd na moru, a small coastal town where we will enjoy the Mediteranean spirit and cuisine of the region. Dinaric moutains and Adriatic Sea await you! Arrival to Zagreb and transfer to hotel in the center. Dinner in a local restaurant and a stroll through the 900 year old streets of Old Town of Zagreb. Overnight. Morning transfer to Gorski Kotar region and start of our TransDinarica Cycling Adventure of Croatia. 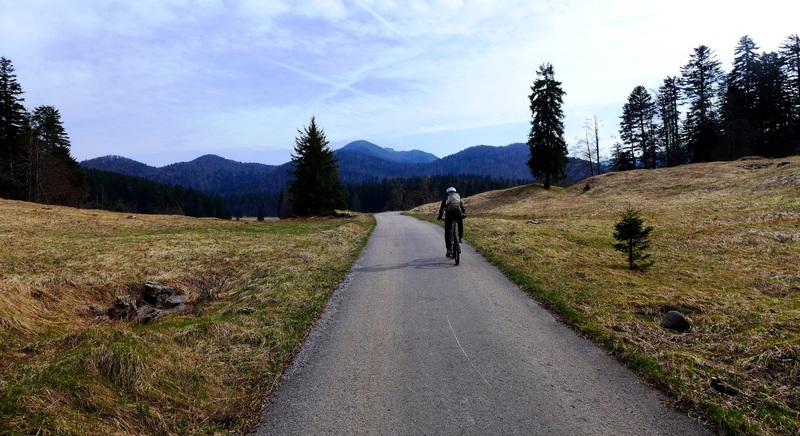 We cycle through the heart of the NP Risnjak, with views to the forrests of Gorski Kotar region, as well as rugged Dinaric peaks such as Veliki Risnjak (1528m/highest peak of NP) and Snjeznik (1505m). We continue cycling to Lokvarsko lake, where we enjoy some nice single trails, before arriving to our base for the night – Fuzine, a pleasant small town founded in the 17th century, with a long tourist tradition. 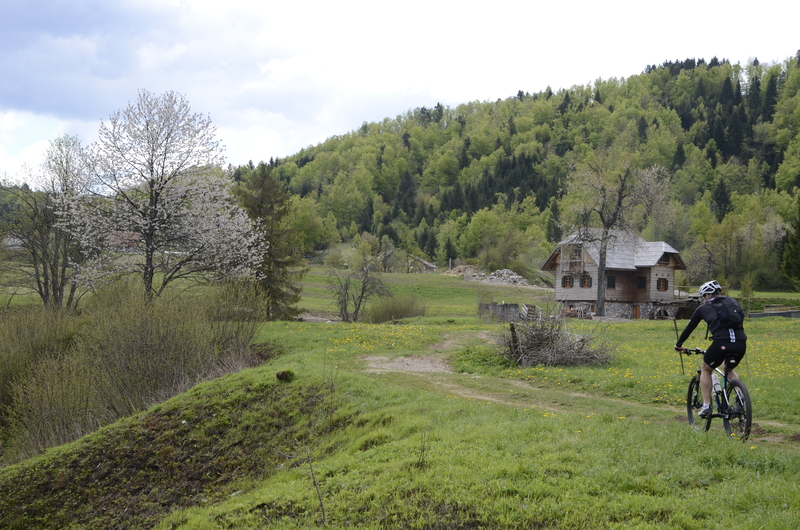 Accommodation, dinner and overnight in Fužine. Today, we ride a part of a new and exciting MTB bike race held in the area of Gorski Kotar and Northern Adriatic coast – „Fuzine to sea“. We start from our hotel and pass below the mountains of Primorje, before we start our descent to the coast, on an exciting single trail leading us towards Novi Vinodolski town. We continue above Novi Vinodolski, on the slopes, until we reach Senj, once upon a time home of „Senjski Uskoci“ – brave medieval resistance army that fought the Ottoman and Venetian invaders. Accommodation, dinner and overnight in Senj. 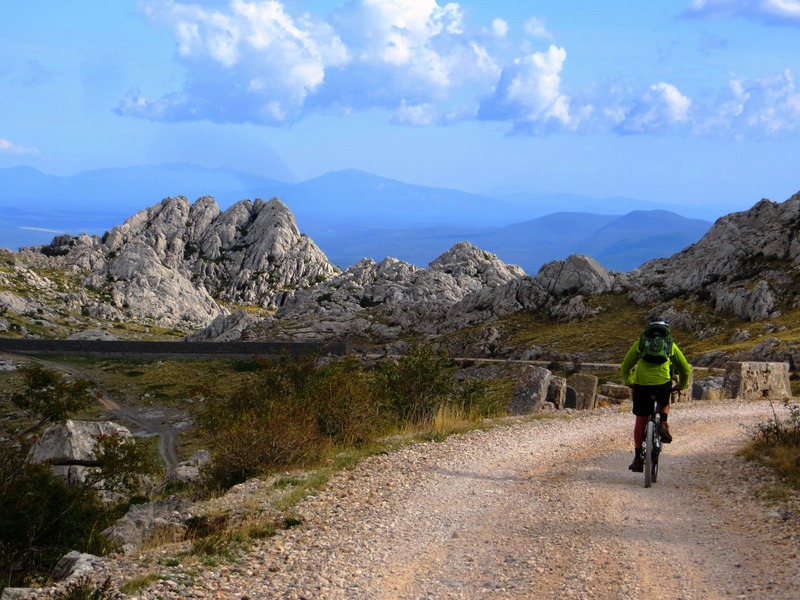 Fourth day of our TransDinarica Cycling Adventure of Croatia is devoted to the one of the biggest challenges on the Croatian part of the trail – we ascend the mighty mountain of Velebit, heart of the Dinaric mountain range in Croatia. It is said that what Olymp mountain is to Greeks, or Triglav to Slovenians, this is what Velebit is to Croatian people – the pride of the Croatian Dinarics! 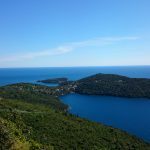 A short but a tough ascent will reward us with more beautiful views of the Northern Adriatic coast and islands. We start from sea level and gradually ascend towards Velebit. 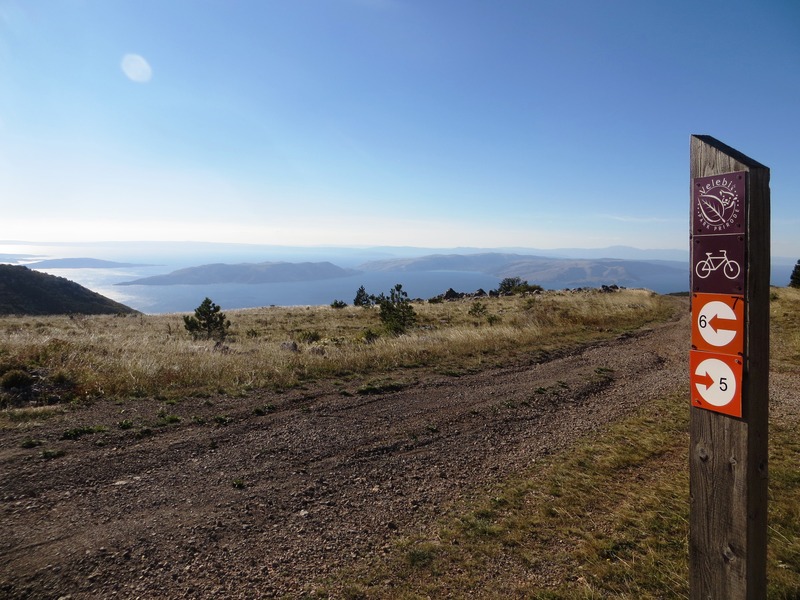 Upon reaching the Oltare pass we join the road to the entrance of the National Park Northern Velebit (Babic Sica), from where we continue on gravel roads to Zavizan mountain hut – the highest meteorological station of Croatia and our base for the night. We enjoy afternoon views of Northern Adriatic Islands, almost 1600m below us. On a clear day, it is possible to see all the way to the Apenines of Italy and for the really lucky ones, across northern Italy, to the peaks of famous Dolomites! Dinner and overnight at Zavizan mountain hut. 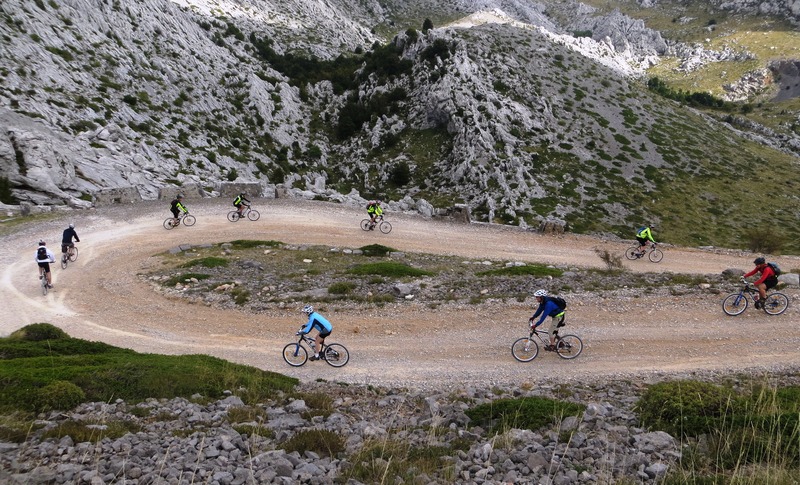 One of the highlights of the trip, day 5 offers a ride along the main ridge of Velebit mountain – the largest and longest mountain of Croatia. We explore the forrests and meadows as well as enjoy views to the amazing forms that Nature has created in the karstic relief of the Dinarics. 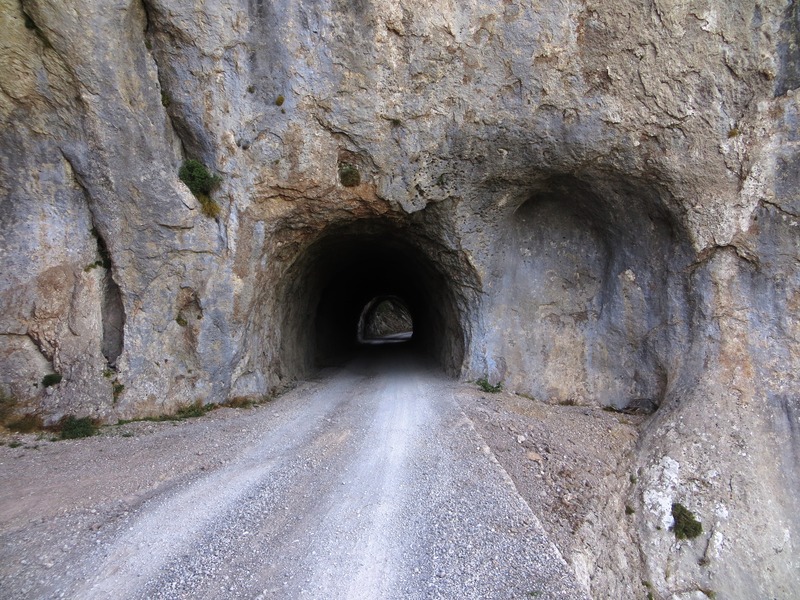 We ride through the heart of National Park Northern Velebit and then continue to Central Velebit and Baske Ostarije – a mountain pass that divides Central and Southern Velebit, where we end our day’s ride. We descend from Baske Ostarije by the northern slopes of central Velebit and continue to follow the southeastern direction of the mountain. 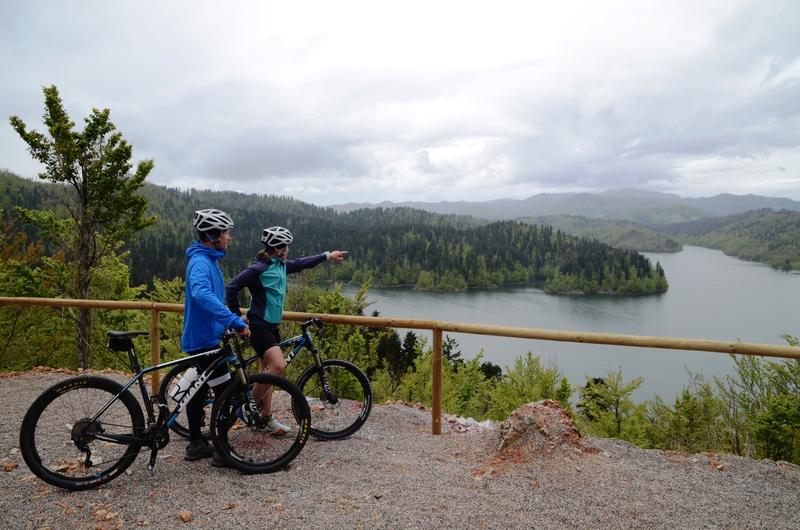 We ride near Gospic town and explore the Lika region – known for fertile land, clean rivers, its forrests and rich wildlife. Named after a Greek word for wolf („lykos“), Lika has always been home to many important wildlife species, including the 3 „big beasts“ of Croatia: bears, wolwes and lynx. We finish the ride in the small town of Lovinac, situated underneath the slopes of southern Velebit. Dinner and overnight. 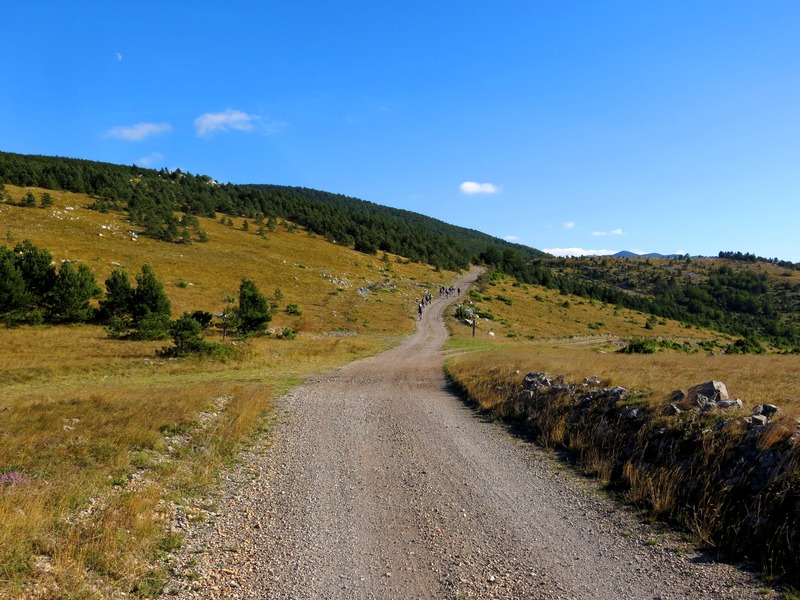 Today we enjoy another traverse of Velebit – this time we cross from northern to southern side of the mountain, by an old „Majstorska cesta“ road. This gravel road with some rougher sections was built in 19th century, during the Austro-Hungarian rule of Croatia and it was one of the masterpieces of road building at the time. Also, it is one of the most beautiful panoramic roads of Croatia! Road ascends from village of Sv. 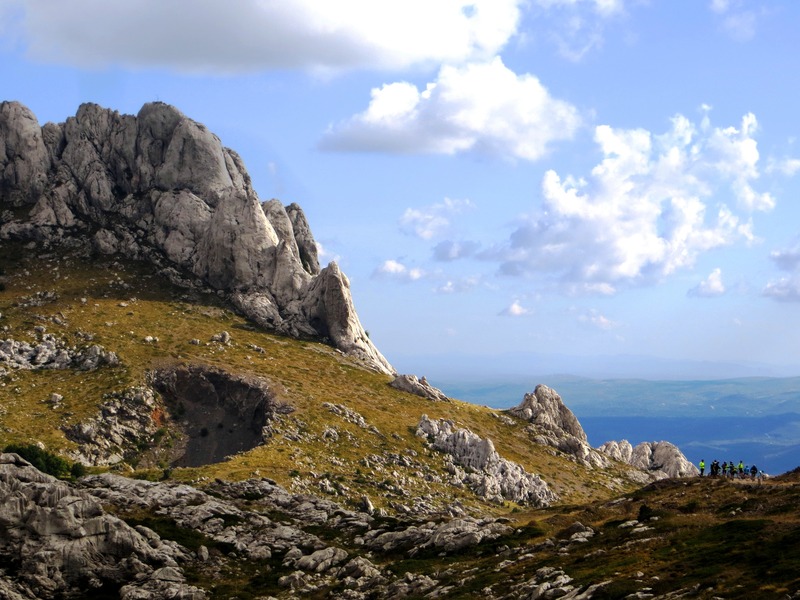 Rok, across Mali Halan pass and near the „Tulove grede“ – grand limestone rock towers that overlook the whole area of southern Velebit and amaze us with their forms and natural beauty. It is at this sight and around Zrmanja river where some of the most amazing scenes of „Winettou“ were shot. During the descent we enjoy views to islands and coast of Zadar region. We arrive to the banks of Zrmanja river and enjoy a nice lunch and some fresh air coming with the stream of this karstic river beauty. The brave ones can an even have a swim in the cold clean waters of Zrmanja, after a tough „Velebit traverse“. Short transfer to a very nice coastal town Biograd na moru, where we will enjoy our last afternoon of the program, absorbing the Mediteranean spirit of the place and enjoying some local cuisine and famous Dalmatian wines. Dinner in a local restaurant and overnight in hotel. Transfer to airport (Zadar / Split / Zagreb) and departure. Our guides share the love for MTB-iking together with love for the Dinarics! While riding with you through pristine wilderness and on exciting single trails, they will convey the story of the Dinaric mountains, people and traditions. All our guides receive permanent education in cyclism and tourleading, which places you in good hands throughout the program. Also, all our tours include an English speaking driver and a support vehicle, which wil provide you with water & energy snacks on designated points on daily program, as well as take you in for a ride, if on one of the days you get too tired from cycling and want to enjoy your time from the seat of our van! Find out more about your guide here. This tour is characterized by the mountain climate of the Dinarics, which is usually relatively dry and pleasant in summer and rainy and snowy in late autumn or early spring. Temperatures vary from 10 to 25 degrees in summer (day/night), which makes a very nice refreshement comparing to the hot climate of the Adriatic coast below us. Towards the end of the tour we will arrive to North Dalmatia, where during the day the temperatures can get very hot and dry (up to 30-35 degrees). So, come prepared for all! And please feel free to ask us for advice on how to get the appropriate equipment (see under CONTACT US).